Want a chance to win your own ePub eBook copy of LOST DECEMBER? If you are not on Facebook and would like to enter for a chance to win, please either leave a comment at the bottom of this post that says “I want a chance to win an ebook copy of LOST DECEMBER by Richard Paul Evans.” or send us an email to read(at)lazydaybooks(dot)com. When emailing us, make sure you include your name, age (must be 18 or older), city and state where you live. The winner will be determined by random drawing on Tuesday, December 6, 2011, at 8p CST. 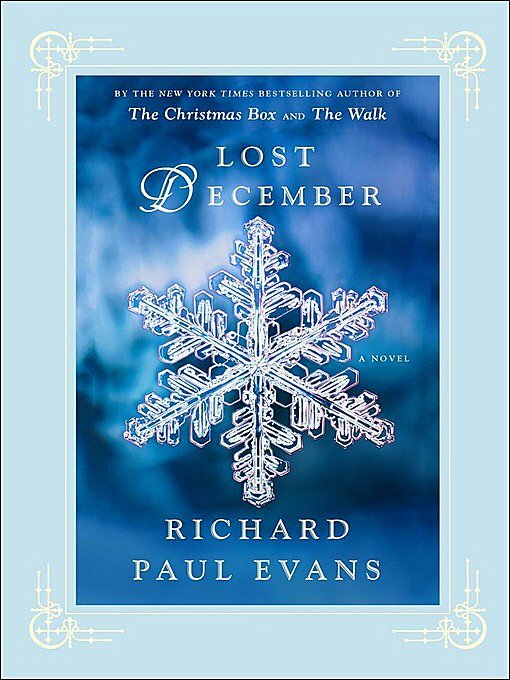 LOST DECEMBER by Richard Paul Evans was published by Simon & Schuster on 11-1-2011. The ePub eBook retails for $9.99 and is available for immediate download here. Congratulations to Emily S, winner of Lost December by Richard Paul Evans!